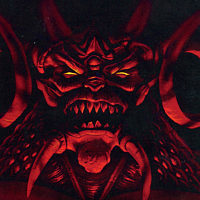 Wait, did you just say that Diablo 2, an isometric, essentially 2D game was "revolutionary" for its time? That it was pushing the limits of hardware upon its release? Not that I necessarily disagree with the core point of your post, but to imply that Diablo 2 was either high end or pushing the limits of what hardware/software could do is just blatantly false. If you hold 'shift' and assign points it adds a bunch at a time. Of course, I don't have all that many to assign, so maybe this could be an issue up at P1200+ or something that I haven't noticed. 10/14/2016 05:02 AMPosted by EnkerZanD4 would need a new engine because D3's is horribly flawed.There's nothing wrong with the engine used in D3, at least nothing major. The game itself is flawed at very deep levels, but they don't go as deep as the engine itself. And fixing these flaws would literally require getting rid of all progression made thus far in game, both Paragon and items, which would create a pretty huge outcry. Not really on-topic, but I don't get why people are hyped for CoD4: Remastered. It wasn't a great game because it was the best balanced, had the best SP campaign, or anything like that. It was considered the best because it was one of the last CoD games to allow players full control over their servers without dividing the community. The hype around this new one makes zero sense, there's no way Activision will give us this level of control in-game again, and truth be told there is still a somewhat active CoD4 playerbase. If you want to play, servers are still up and running. Whatever happened to the "old monks"
12/19/2015 06:49 AMPosted by PrimeFitz is correct. Im talking about the people who mained the class and pioneered some of the builds early on vanilla. Like Fitz, Druin, Lord Rahl, Scrapz and many more. These guys who provided constructive feedback, now the only person I see helping out the class is Davlok.Don't forget Vrkhyz, although I haven't seen him around since before RoS launched. 12/11/2015 10:22 AMPosted by HaybalerYeah let's at least get the Monk Class looking pretty after getting nefed to oblivian ! LMAOArt department is art department. This won't affect damage numbers in the least, since the people making those changes are an entirely separate entity at this point. Where did you see this change? Didn't see it on DFans. 11/20/2015 10:09 AMPosted by Darth11/19/2015 08:06 PMPosted by SoulmojoChill dude, it is 50% damage when SW is active. Not 50% per stack. :) so instead 5% per stack which stacks up to 50 it will be a single bonus.this times obviously.. lolIt clearly has a legendary affix change that crosses out the per stack of sweeping wind and puts 50%This makes it better, still unusableIn the Set Changes box right under the Item Changes box it does still say that it's 50% DR per stack. The former definitely seems more likely, but I can see how the confusion could have started.